Munich is a beautiful city and one worth spending several days exploring. Chances are, however, if you are flying Lufthansa through Europe, you’ll end up with a long layover in Munich and only a few hours to see the city’s attractions. 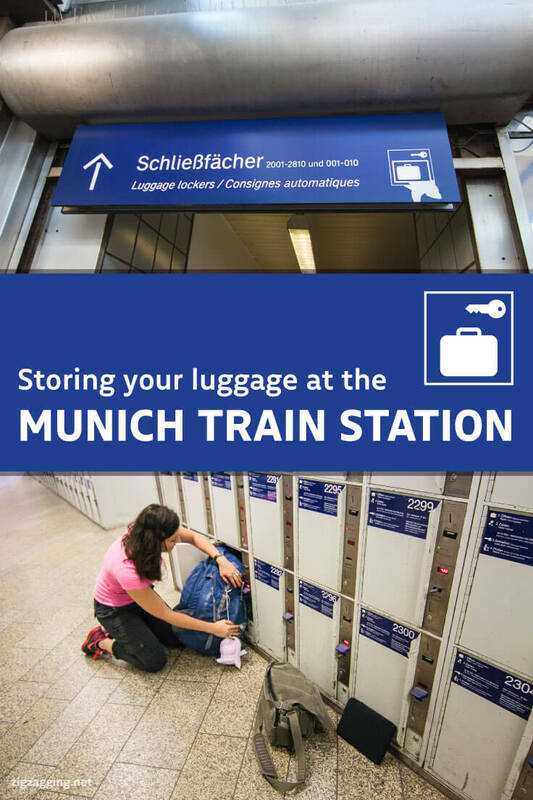 Since you won’t want to haul your luggage around as you explore the city, we recommend storing it at the central train station, the Hauptbahnhof, which is just west of Munich’s famous city center. When it comes to storing one’s luggage for the day, most people tend to do so at the airport. Munich airport’s Left Luggage prices range from €3.80 (around $5.00) for a small purse or camera bag, up to over €8.00 (around $10.50) for larger suitcases. These prices are per bag for a 24-hour period (or any part thereof), with additional charges for longer periods of time. If you have several people in your group, charges can add up quickly. At the far side of the train platforms near the end of track #1, you’ll see the entrance to the locker area. A blue sign above the opening denotes the locker area in German, English, French, and with a luggage icon. Lockers come in two sizes: standard lockers cost €3.00 (around $4.00) per day, and large lockers cost €5.00 (around $6.50). Standard lockers are quite large and are capable of holding a lot, depending on your “stuffing” skills. We were able to fit two 50-liter backpacks in a single standard locker, along with a few other small odds-and-ends items. For larger items, such as bulky suitcases or guitar cases, the large lockers can be found around the corner from the standard lockers. As it turns out, Zena is a good stuffer. After you’ve placed your items in the locker, you’ll have to pay to remove the key. The lockers accept Euro coins, so make sure you have some change on you. There is a change machine on the wall in the locker area, but there are times when it is out of order. You don’t want to have to leave the locker area to try to find change for Euro bills, or worse yet, another form of currency. You can store your bags in the lockers for up to 72 hours. If you return after the first 24 hours, you’ll have to insert additional money to remove your things. A word of caution: the management may confiscate your belonging if you try to leave them for longer than 72 hours. Once your gear is stored, you can take the U-Bahn U4 or U5 lines to Odeonsplatz and begin touring Munich’s city center from there; or from Odeonsplatz, take the U3 or U6 lines to Mariensplatz for a more central starting point. It is nice to know the information before I book locker. Can I book the locker first before arrive the station? Is there any online booking for the locker? Louis, I’m not aware of any way to book a locker in advance, but there are plenty of lockers available, so you shouldn’t have a problem securing one when you arrive. Absolutely. You’re welcome. We’ve passed through Munich on a couple occasions, sometimes for a day and other times for longer periods. Munich is a great city to check out on an extended layover and the train station is a convenient place to store your bag for a day. Great info. Exactly what I was looking for. I feel that while the EUR 3 lockers are spacious, they won’t fit a 20 inch suitcase. So I would probably have to opt for a EUR 5 locker. What say? Most likely that’s the case. Since you don’t have to pay until you remove the key, you can try both size lockers to determine which works better for your bag. JP, while I can’t say for sure (since our visit was mid-day), I would venture to say yes, it should be open 24 hours. where I can I store a suitcase at the Munich HBF for 7 days? 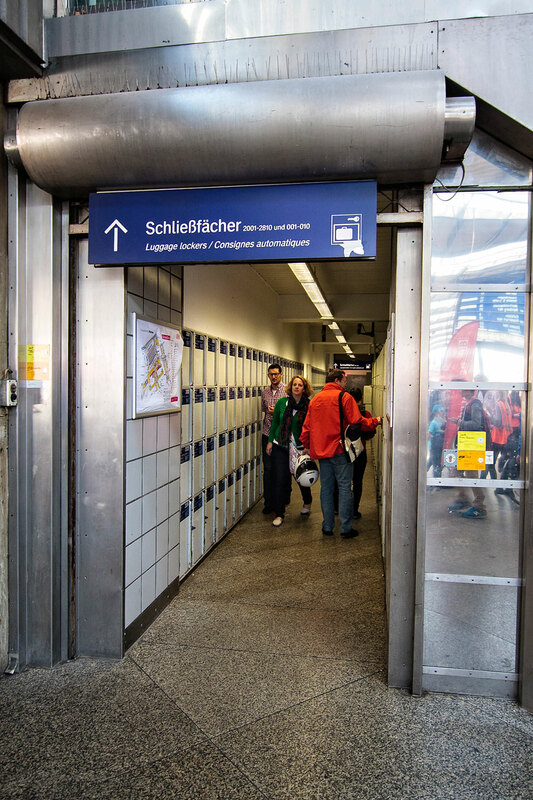 I need luggage storage at the Munich HBF for 5 days – do you know of option for that? Judy, I’m afraid I’m not sure whether you can store your stuff in the lockers for more than 72 hours. It doesn’t hurt to check when you arrive; there may be a nearby service that will allow you to store your stuff for a fee.